After a long time spent out of the world because of a lack of line due to a fault I'm finally back here, and so, although I know I'm a little late, I want to give you my best wishes for your birthday, hoping you will appreciate them all the same! 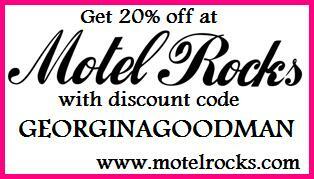 Btw...I'm spreading the voice about your discount code at motelrocks, I'll let you know about it soon. woohoo your back! and youve found my blog!! great. thankyou for the bda wishes and thankyou for spreading the word!